The Advocate: The Trans 100 is compiled through a year-long process, which begins with a call for nominations that may be submitted by anyone. This list of nominations is then narrowed by a team of curators, who research the accomplishments of the proposed names and hold them to a list of standards. This criteria entails that a candidate must identify as transgender and work to positively affect the trans community. The final selectees […] are announced […] on the International Transgender Day of Visibility [31 March], which celebrates the worldwide transgender population and raises awareness of issues related to discrimination. Included in the 2014 list of Trance 100 is T.J. Jourian, Lebanese-born Armenian and Middle Eastern transmale activist (raised in Cyprus). There were lots of congratulatory tweets for T.J. Jourian. 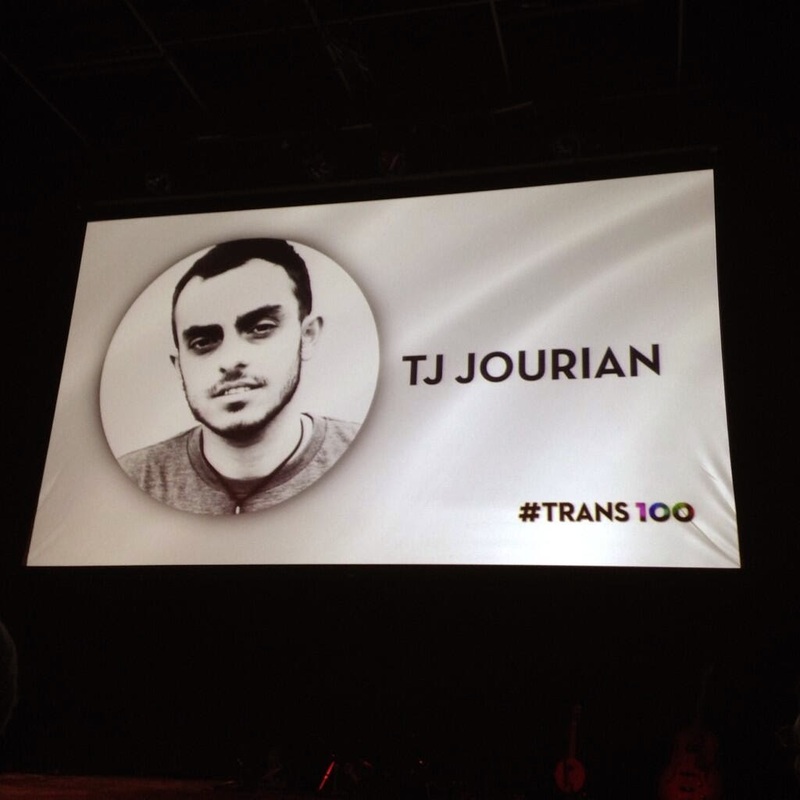 @tjjourian: My amazing Armenian Lebanese mother just called me to congratulate me for the #trans100!! This project is changing lives. Big congrats !! Well deserved, indeed.